The University of Manitoba Students’ Union (UMSU) ran a $690,000 deficit in its operating fund last year, according to its official audit presented at council’s regular meeting Oct. 27. The audit stated that the total deficit to the union’s operating fund was $1.14 million, however, this includes $150,000 in funds that will be returned to the union following a university error regarding the union’s payment for health and dental coverage, and a $300,000 one-time deposit for the union’s health and dental provider Manitoba Blue Cross. The external audit, conducted by the financial management agency BDO Canada LLP, accounted for all recorded spending by UMSU over its 2015-16 fiscal year, which ended Apr. 30, 2016. 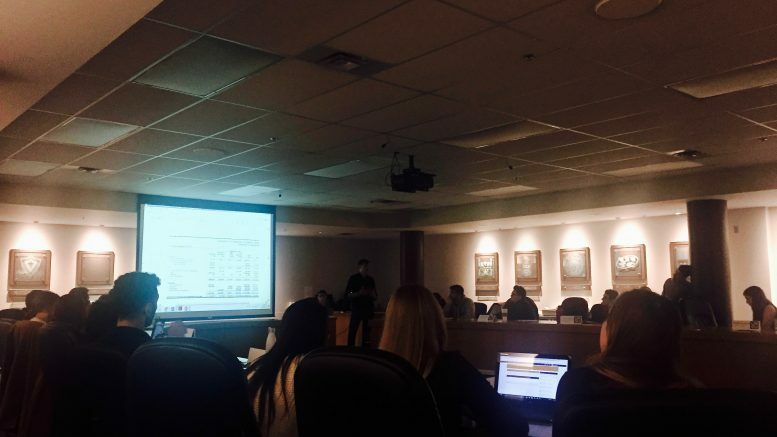 UMSU vice-president internal Adam Pawlak presented the complete audit to councillors, claiming that a number of factors led to the large deficit. Pawlak pointed to high levels of discretionary spending, legal and engineering costs related to space revitalization, professional costs associated with branding, and the relocation of the Manitoban office from University Centre to the Helen Glass Centre as contributing factors. None of which, he said, were budgeted appropriately last year. The $76,000 loss incurred by the 2015 Frosh Fest also contributed to the budget shortfalls, according to Pawlak. Despite running a $690,000 operating fund deficit, UMSU still has nearly $3 million in assets, including $1.9 million in cash on hand. That however, is $207,000 less than the union had last year. In addition, the audit revealed that UMSU saw a nearly $500,000 drop in total revenue in 2015-2016 compared to the previous year. In his presentation, Pawlak brought forward proposals to reform the checks and balances in place to ensure that union spending is accurately reflected by the approved budget and remains stable. These plans include an overhaul of the union’s internal financial accounting practices and procedures, a higher amount of regulation over discretionary spending, and enforcing the re-categorization of UMSU financial operations. UMSU’s business operations, union operations, and administration have been divided into separate categories of financial management in order for the union to keep an eye on each category’s budgets more closely, said Pawlak. “With clear information relating the actual revenues to expenses for each of those distinct lines of activity, we will be in a much better position to analyze operations, ensure that expenses are justified by duly authorized UMSU mandates, and report meaningful information to various governing bodies,” Pawlak said in an email. Along with the official audit, BDO Canada presented UMSU with recommendations to ensure the union’s finances are transparent. The auditor underlined a lack of formal policies concerning the approval of credit card charges as a concern. “Due to lack of formal policies and procedures, we noted some credit card charges where it was difficult to determine if the charge relates to business affairs of council or are of a personal use,” states the audit. The audit recommends the union draft formal policies regarding the usage of UMSU credit cards. It also recommends that the credit card statements be presented to council. In March, UMSU was thrown into disarray after then-president Jeremiah Kopp – now a columnist for the Manitoban – was accused of misusing union funds through an executive credit card by the then-vice-president student services Jessica Morrison. On March 10, after Morrison’s accusations were made public, council passed three emergency motions which made financial documents – including credit card statements – public, called for a forensic audit, and cut off Kopp and vice-president internal Zachary LeClerc from use of executive credit cards for the remainder of the term. Afterwards, at their March 24 meeting, UMSU council passed a motion apologizing to students “for the rash reaction,” citing a closed-session presentation by UMSU accounting manager Ron Davey. Law student representative Karas Elbardisy explained that the presentation made clear that a forensic audit would not find evidence of any illegal or criminal behaviour. This year, no executives have access to union credit cards. In his presentation, Pawlak informed council that UMSU’s general manager, Thomas Blumer, is the only staff member in possession of a union credit card and all expenses are reported in finance committee. Pawlak said he is confident that despite years of running deficits, this year’s UMSU executive will reach a balanced budget, if not a surplus by the end of the fiscal year. “I will do whatever it takes in the best interest of this organization so we see a balance and begin growing our savings,” he said. UMSU councillors unanimously voted at the Oct. 27 meeting to accept the findings of the audit and to hire BDO Canada LLP to conduct the union’s official audit of this year’s finances after the financial year ends April 30. 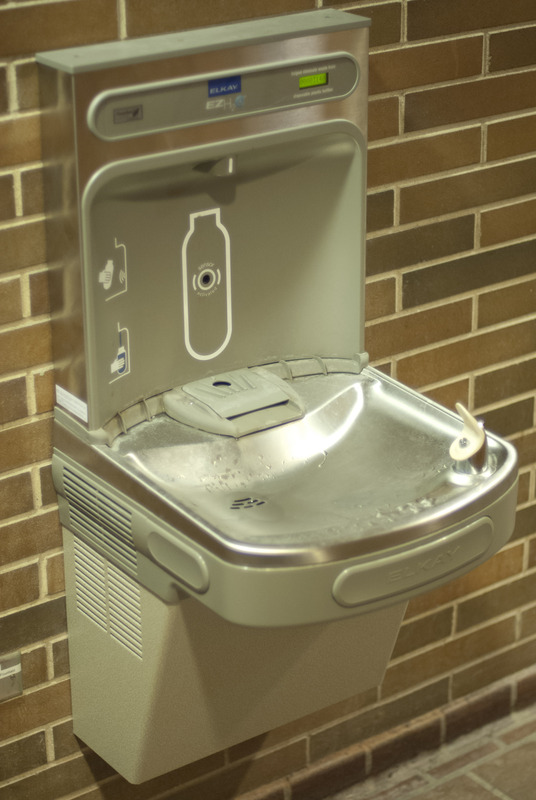 Before voting, however, Arts Student Body Council representative Serena Gawryluk expressed concern that councillors were not given enough time to review the audit before voting to accept it. She said most councillors viewed the documents for the first time at the meeting. The same issue was brought up at UMSU’s last meeting on Oct. 13, when councillors were asked to vote on a revised budget at the same meeting it was presented. “I believe that Adam has done a good job of presenting to us the issues that caused such a deficit last year,” Gawryluk told the Manitoban. “It is really difficult to take in so many numbers and so much information in such a short period of time and then to come to an opinion and then vote on it so quickly,” she said. During the meeting, Pawlak apologized for not including the audit in the council package, as in past years, saying he was not aware that it is generally sent to councillors before hand and there are no rules mandating that the executive do so.